For those who don't know my particular regional supermarket options, I'd like to start out by saying that Safeway is a chain of markets that is common in California. It may be available in other areas, but I know it is not on the East Coast as my sister (who lives in Pennsylvania) had never heard of it before I moved to California. It's like Giant Eagle or Kroger's in the East, or Seiyu in Japan. That's my way of saying it's a pretty boring all-purpose market at which you don't expect to find anything especially exotic. All of that being said, it seems even boring markets in my area carry bontan ame and Pocky. At first, I was really impressed by them, but now I see these items so much that I don't even notice. 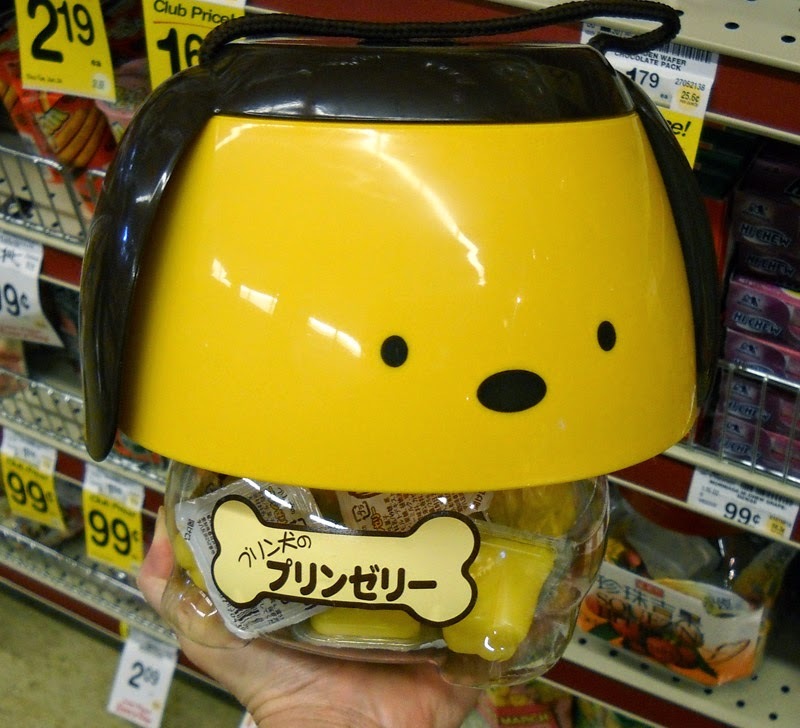 That being said, a new Safeway opened recently in the Cupertino area and I was shocked to find this Japanese "purin" (pudding) container for sale there. This particular branch also carries bakery items from the Sogo bakery and I'm guessing their range is broader because the area hosts a lot more residents of Asian descent. The lesson for me is to not take for granted that a chain store is a chain store is a chain store. You never know what surprises might be lurking.